A life cycle involves several phases that come into the life of every living organism. The life cycle of a polar bear involves five stages. The initial stages are quite critical since bears are more likely to be vulnerable than the advanced phases. 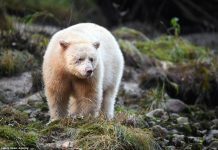 The bear has a complicated life cycle and scientists faced extreme difficulty in studying it because one-third of the females return to their den during breeding months. They will continue to care for their young in the first two to three years after birth. 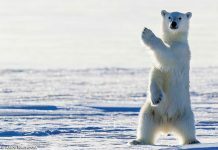 It’s time to know what is the life cycle of a polar bear. The polar bear gives birth during spring season and the baby polar bears are called cubs. Normally twins are born but three are also not uncommon. Cubs are born helpless without hair, without teeth, and without sight. As a matter of fact they are not insulated with dense hair. They are deaf with nearly the size of a chipmunk. The birth occurs in between October and January. The first year of a polar bear cub is thought to be the most important time not only for the cub but also for its mother. The mother bear needs to look after her cub almost all the time and she barely leaves it unattended. Whenever she goes out to hunt she takes cub along with her (not for training though). When the cub gets tired it just mounts on the mother’s back especially during swimming. The mother bear rarely allows her cub to swim because her insulating fur is not properly developed at this stage. When cubs emerge from the den they are able to walk on their own but remain under the watchful eye of their mother. But they will spend months in playing, fighting, and running around the corner until they reach 2 years age. Breast feeding occurs at this stage as cubs enjoy calorie-rich milk. This is the end of a second phase for polar bear. At this phase polar bears become 3 years of age. They can now eat solid food and look for their mother’s hunting methods. However cubs will continue to rely on their mother for feeding. Once they are done eating food, cubs will return to the den. During adulthood phase the polar bears learn how to survive the hostile arctic environment where food is not easily accessible. Ice bears are solitary creatures and they must now swim, play, hunt, and walk alone after reaching adulthood. Polar bears are sexually dimorphic animals. Males are significantly greater and heavier than females. Adult bears will often fight other bears and are capable to run as fast as 40 km/h only in short bursts. After eating seals, their muzzle becomes all red due to seal’s blood which is why they dive into the water and swim for about 15 – 20 minutes to clean them up. At this stage adult bears go and find their mating partner in suitable breeding months. Polar bears become sexually mature at 5 years age. Once they achieve the reproductive age the males begin to look for the females by following her tracks. 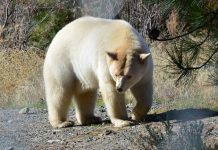 White bears mate in April or May. If there are two males for one female then both (males) will probably fight to win over the female. Mature males will fight hard but not hard enough to kill each other. The fight may end up in broken bones or jaws. The loser is likely to run away while the dominant male mates. If there are two males for one female then both (males) will probably fight to win over the female. Male bears, just like other mammals, mount the female from behind. However the ovulation doesn’t begin immediately. Many attempts occur before the egg is finally fertilized. Once pregnant the female is going to eat a lot just to make sure she stores enough fat for winter. Polar bears deaths are caused by numerous ways such as disease, accidents, climate change, and hunting. The Inuit (local hunters) have long hunted ice bears for centuries. 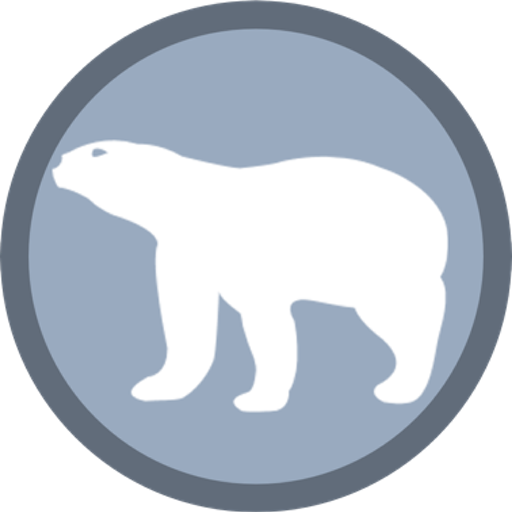 Many bears couldn’t reach the adulthood primarily because other polar bears kill them or even eat them. Studies confirm the cannibalism behavior in polar bears. 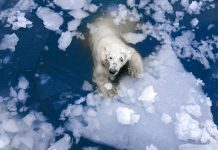 Prominent among the causes is human hunting which has threatened few polar bear population. 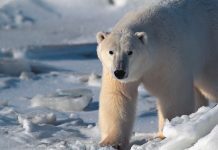 Apart from human hunting the polar bear death is also caused by eating contaminated foods which occur due to the water pollution. 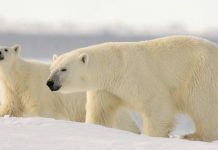 POLAR BEAR LIFESPAN:Biologists have reason to believe that polar bears have low lifespans in the wild habitat mainly because bears find it hard to hunt seals as they grow older.